The oral tradition of passing stories from one generation to another is synonymous with African culture and this is evident in the many myths and legends which are become a part of the colourful tapestry of oral history across the continent. 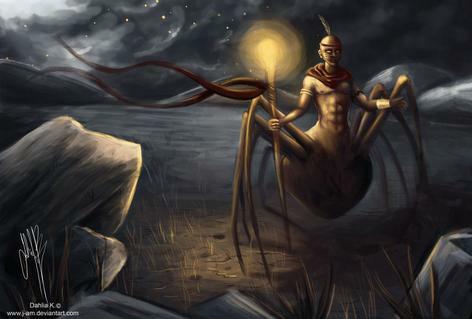 Whether funny or scary, these African myths and legends are often tales of death, magic, the origins of animals, otherworldly entities, or the creation of the universe. According to Akkan mythology, humans once lived deep within the earth and only emerged from the below the surface after a hole had been created by a giant worm. Through the hole created emerged 7 men, 5 women, a dog, and a leopard and they were instantaneously overwhelmed and terrified by their new surroundings. However, one of the men, Adu Ogyinae, recognised the earth’s bounty and immediately coordinated the group to create shelter. Unfortunately Ogyinae found a tragic end when a tree he was cutting down fell on top of him. 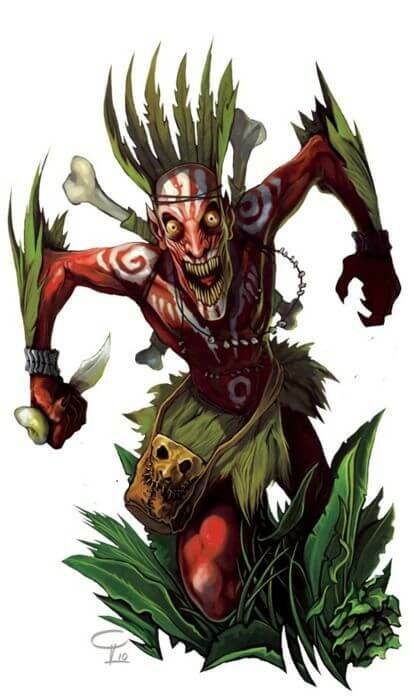 Said to be roaming the rainforests of central Zaire, Biloko are dwarf-like creatures believed to be the spirits of agitated ancestors. Harbouring resentment towards those still living, Biloko hide in hollow trees where they cause women to faint at the sight of them and only the bravest of hunters who enter the forest return. Described as having no hair, with long claws, and pointy-toothed mouths wide enough to swallow a human whole, we would rather play Canadian mobile casino instead! The Hippopotamus is typically depicted as a goddess in African legends and was worshipped as the god of fertility and childbirth, Tawaret, in ancient Egypt. However, the Ronga people believe in the legend of a distressed mother who left her child with Mother Hippo as the child’s life was in danger. Every night following, Mother Hippo would emerge from the water with the child in tow in order for the child to be fed by its mother. Nyaminyami the Zambezi River God is believed to be a dragon-like creature who commands life in and round the Zambezi River. During the Kariba Dam project of 1956 the peaceful existence of the Batonga people was disrupted when they were asked to relocate and they believed that Nyaminyami would not allow the completion of the project. Ironically, a year later, a severe flood swept the land, killing several workers and destroying the Kariba Dam’s infrastructure in the process. In the 18th century, Dutch seaman Jan van Hunks retired from a life at sea to live on the slopes of Devil’s Peak, Table Mountain. Van Hunks was known to walk up the mountain to enjoy smoking his pipe and was one day approached by a stranger with whom he engaged in a smoking contest. Van Hunks defeated the stranger after a few days, but the stranger turned out to be the devil and Van Hunks disappeared into thick clouds that suddenly descended, never to be seen again.